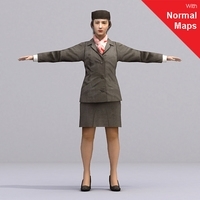 Below is a short tutorial showing the method I use when modelling a real time character. This approach can also be adopted when creating subdivision surface models. I hope some of you find it informative and useful. * Start with good reference material and use as much as you can. * Using your reference as an image plane, block out the rough shape of the character using cylinders. * When adding finer details make sure to follow the muscle lines strictly. * You must end up with a nice clean model, symmetrical where possible. * Try and keep to a grid system, this will give you a neat model to work with, and result in better deformation. * Do not put polygons where they are not needed, even if this is a high-resolution model. * Check the edges on your character thoroughly. Make sure they are flipped the correct way, what you need to avoid is faces collapsing in onto each other when the model is animated. * Adjust the character to its final binding pose. The most important thing you should do before any modelling happens is stock up on your reference materials. This could be scanned, drawn, grabbed from a video, DVD or anything just make sure you have lots of it. Ideally you should have turn a rounds of the character, if these don't exist then use the rest of the images you have collected to generate your own. The ideal turn a round should contain a front view, side view (left & right if possible), rear view and a three quarter view. You should have both full body and a head close up. 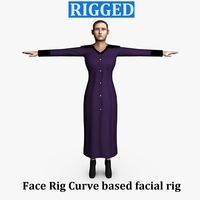 As well as these you should also have a decent facial expression sheet, showing as many emotions as possible, not only will this be useful when modelling the head but it will give the animator a good guide to work from when generating facial blend shapes. As well as your basic character sheets you should ideally have a colour sheet too. 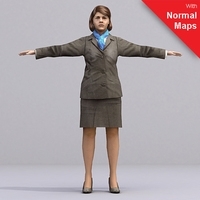 This will be used later when you start to texture your model. Note: It is really important that you have this reference material. You may as well be modelling with your eyes closed if you don't use anything to base your model on. Trying to model without preparation will result in you having to tweak the final mesh for weeks on end until you or your lead are happy with it. At the very least you should have something scanned in and used as an image plane to get the proportions correct. Before starting to build your character you should first make sure you have your turn around scanned in and at the ready. 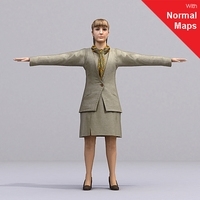 The front and side view should be imported into Maya and used as image planes to guide you. 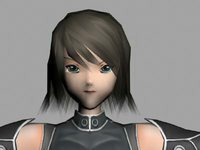 * Is it an in game model or will it be used in pre-rendered cut scenes? * You will need a rough polygon count limit. * Finger amount. Will it have full fingers or a mitten type hand with no fingers? 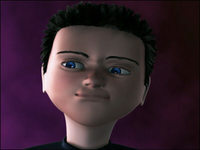 * Facial detail, will the characters face need to animate to show emotions and talk? Another point to consider is how many levels of detail are required. If I am to generate a character, which has four levels of detail, I find the best way to work is to model the highest version first. Once this is done you can then generate the lower versions from this simply by removing polygons, it is allot easier to remove polygons and detail from a character than it is to add them. Also working in this order assures you that the lower Lod`s (levels of detail) will match the highest perfectly. 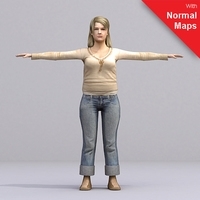 To aid with this guide I will model a character myself and show you the process step by step. 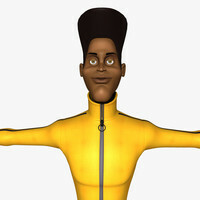 I have decided on a character I am to produce so I have spent some time gathering various pieces of reference material. I could not find a suitable model sheet so I have drawn out a rough one myself, I shall use this to generate the general shape and proportions of the model. Now you can start to build the character but don't rush in and try to build it a bit at a time, try to fill out the whole shape first as this will help you to get the proportions correct. Rotate, translate and scale the cylinders to position them in the correct place corresponding to the left leg, left arm and torso but try to keep a row of vertices lying on the elbow and knee. 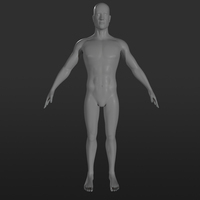 We only need to model one half of the body as it can be mirrored later to produce the right hand side. Note: It will make scaling the vertices easier if you do not freeze the transforms on the cylinders! Using these cylinders, and keeping them as quads, view from the side and scale/move the vertices horizontally until the shape of the cylinder roughly fits the leg in the image plane. Next switch to the front view and do the same, adjusting them to fit the general shape. 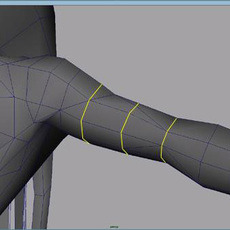 For the arm look from the front and scale the vertices to fit the shape of the reference image. Next do the same from the side view. If your model sheet has its character drawn with the arms out to the side you will probably need to use some other reference material to adjust the vertices from the top view. The torso cylinder needs to be split into two, the left side and the right side. Delete the right side, as we only need to work with the left for now. Also delete any cap faces on all the cylinders if you haven't done already. Doing as you have already done with the leg, using the front and side views scale/move the vertices horizontally to get the rough shape of the torso.